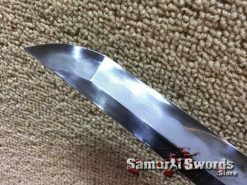 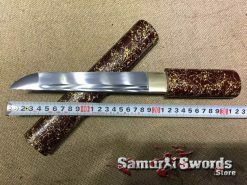 This Katana blade is made using the T10 folded and clay tempered steel that has undergone the hadori polish process. 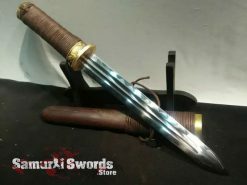 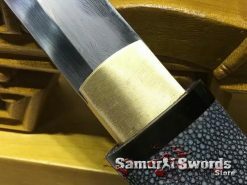 This method of polishing gives the blade a beautiful finish, adding more appeal and uniqueness to the sword. 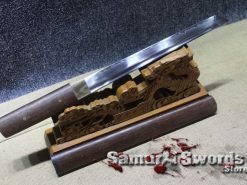 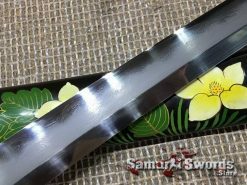 The steel has been folded 13 times creating thousands of layers; and subtle hada (grain pattern) to appear on the blade surface. 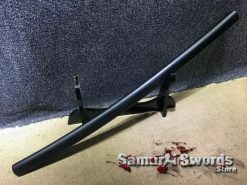 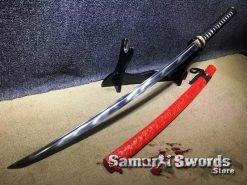 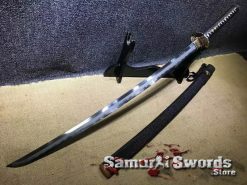 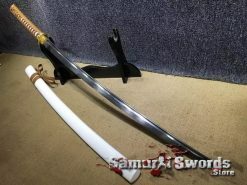 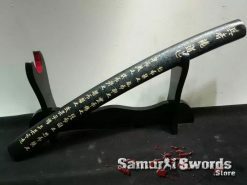 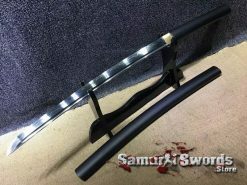 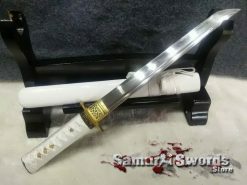 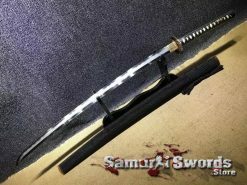 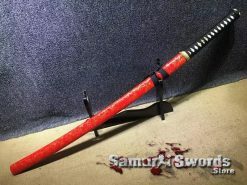 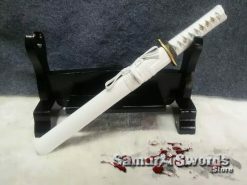 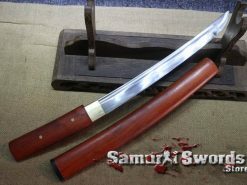 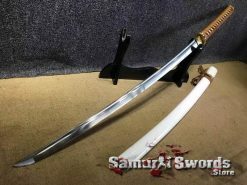 This samurai sword is full tang and very suitable for target and practice cutting such as tatami mats and bamboo poles; since this Katana is clay tempered, its edge is kept very hard and its spine softer; this allow for more flexibility for the sword, while the hardened edge will help the blade retain its razor-sharp edge. 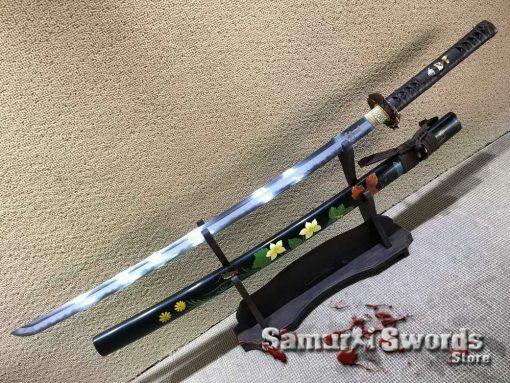 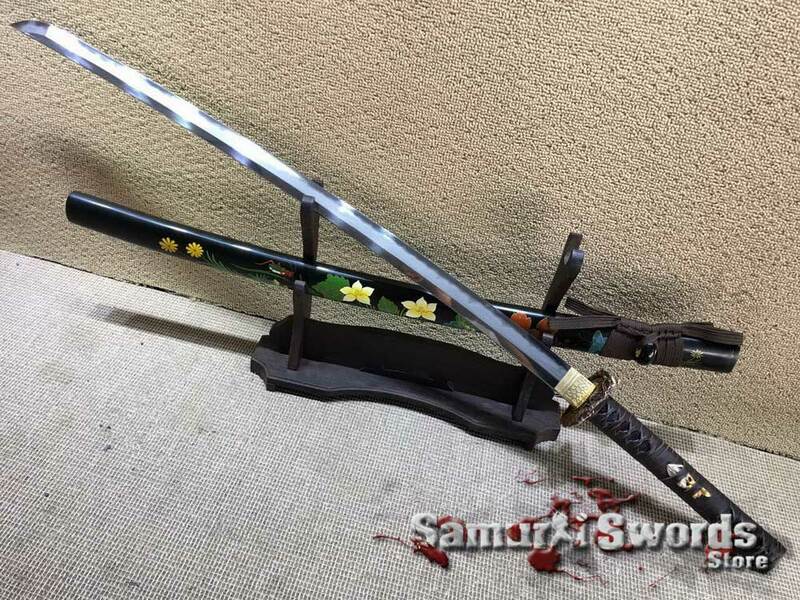 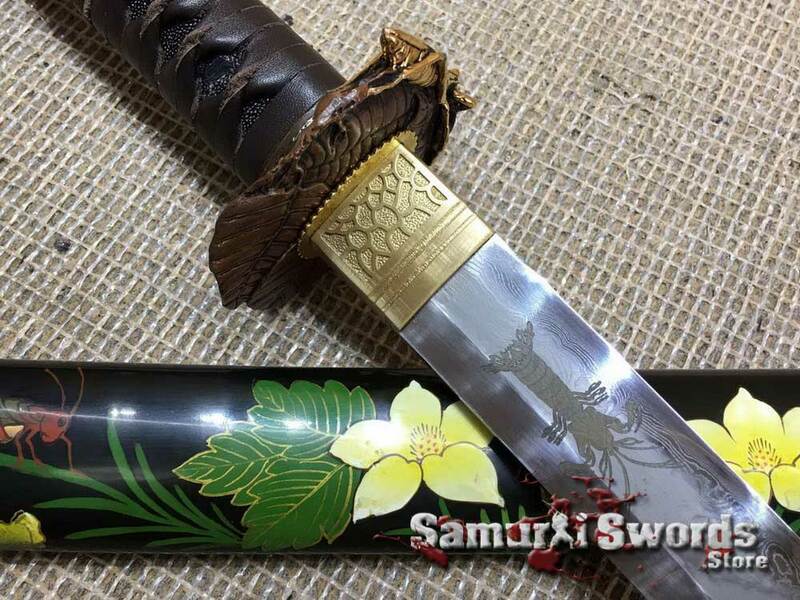 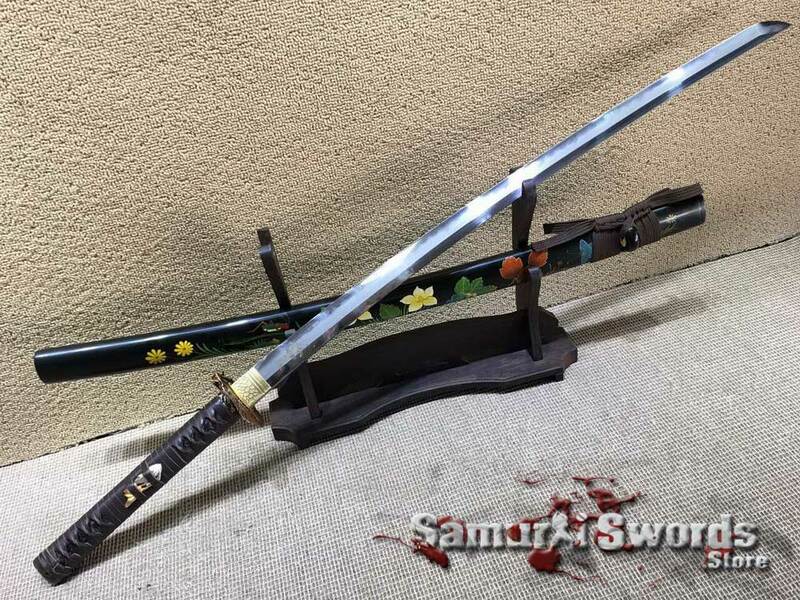 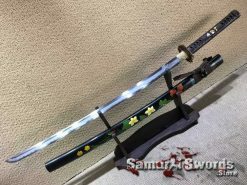 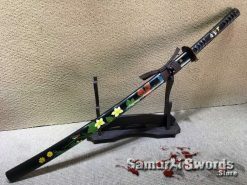 The saya of the Katana is designed with beautiful hand-painted flowers, adding more style and elegance to the sword. 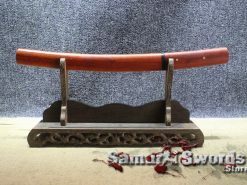 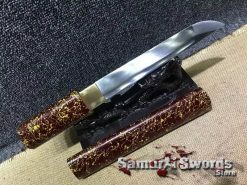 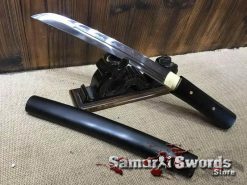 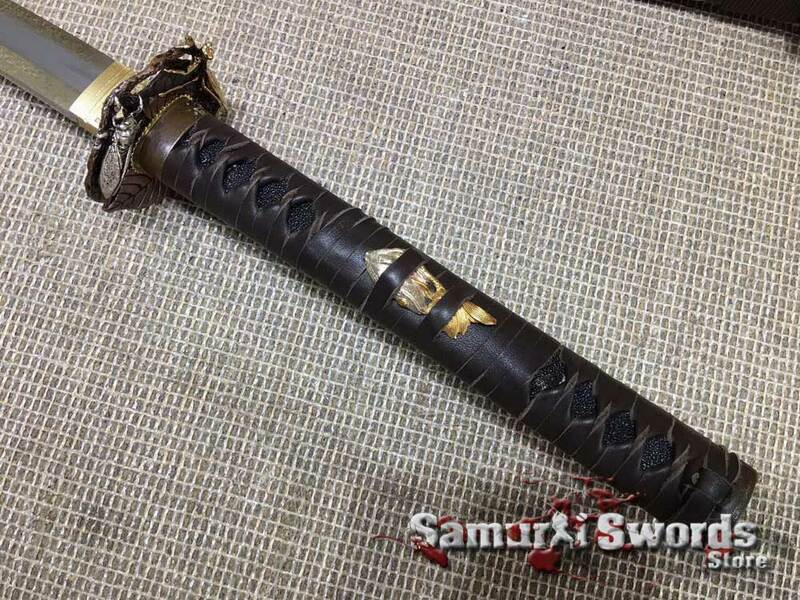 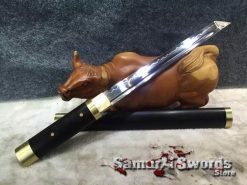 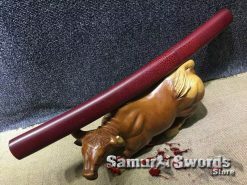 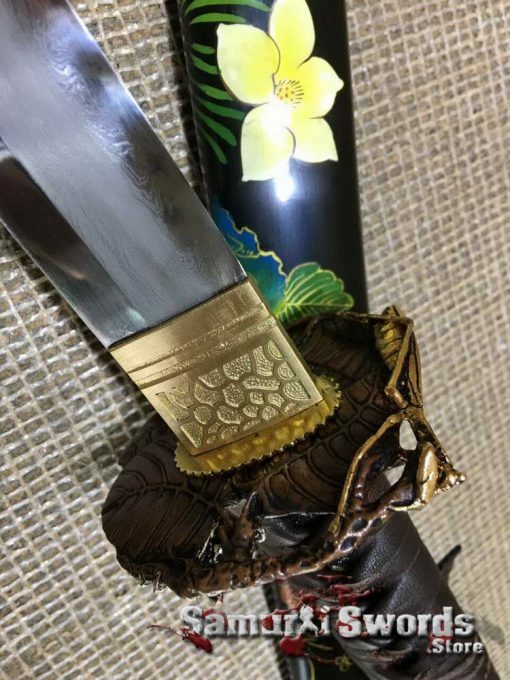 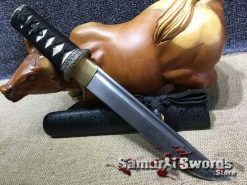 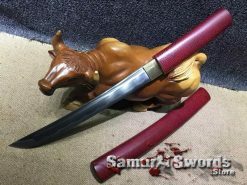 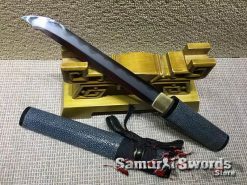 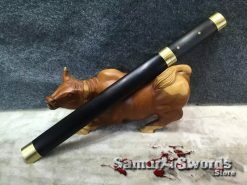 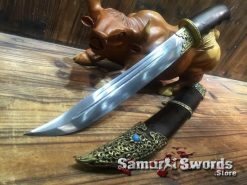 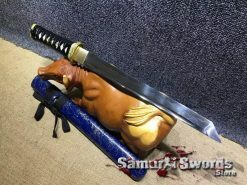 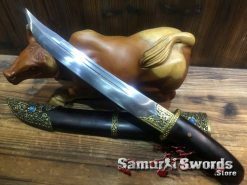 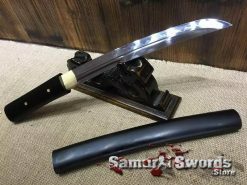 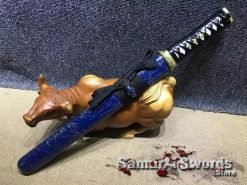 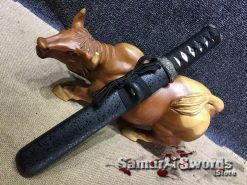 The handle samegawa is of black ray skin that is wrapped in dark brown leather ito in battle wrap style. 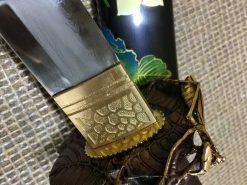 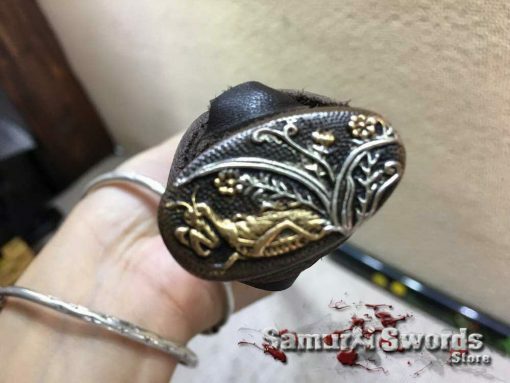 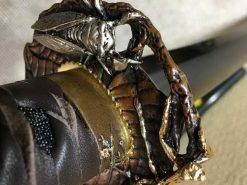 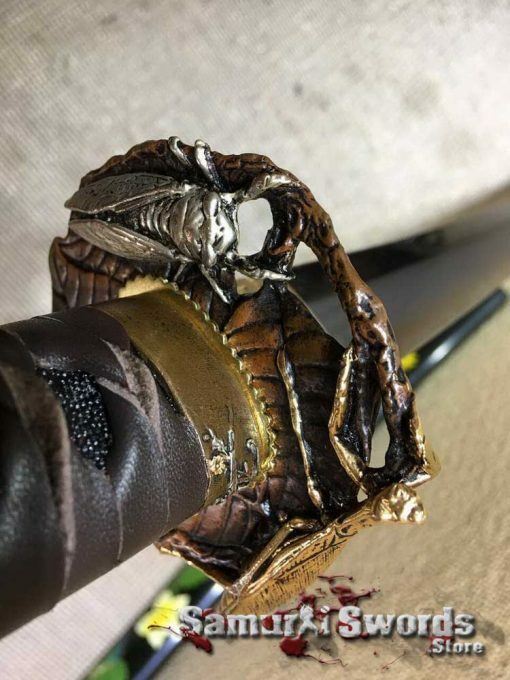 Additionally, the menuki in the center of the samurai sword tsuka is made from brass, while the other fittings are made of high-quality copper. 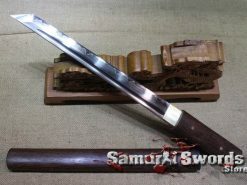 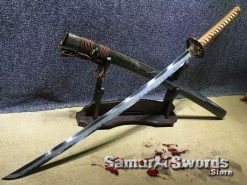 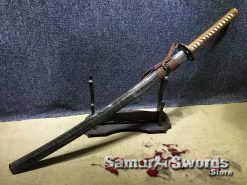 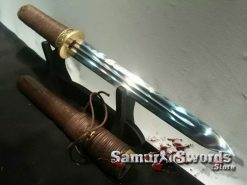 For the measurements of this Katana, it has a total blade length of seventy-two centimeters while its handle measures around twenty-seven centimeters  perfect for gripping the sword with both hands. 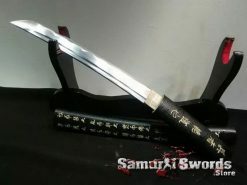 Its width measures at 3.2 centimeters and its total weight is 1.68 kilograms. The sword comes with a free silk sword bag to protect the weapon when not in use, or it can be highly useful when you need to take the sword when practicing in a dojo.